The largest study ever to examine why an expensive and commonly used group of drugs fails patients with Crohn's disease has concluded that standardised drug doses are often too low, according to a UK-wide collaboration led by the University of Exeter and the Royal Devon & Exeter NHS Foundation Trust. The study - part-funded by Crohn's & Colitis UK and Guts UK, and supported by the NIHR - concluded that trials are needed to investigate whether early personalised dosing, guided by blood level monitoring, might help reduce the rate of treatment failure. 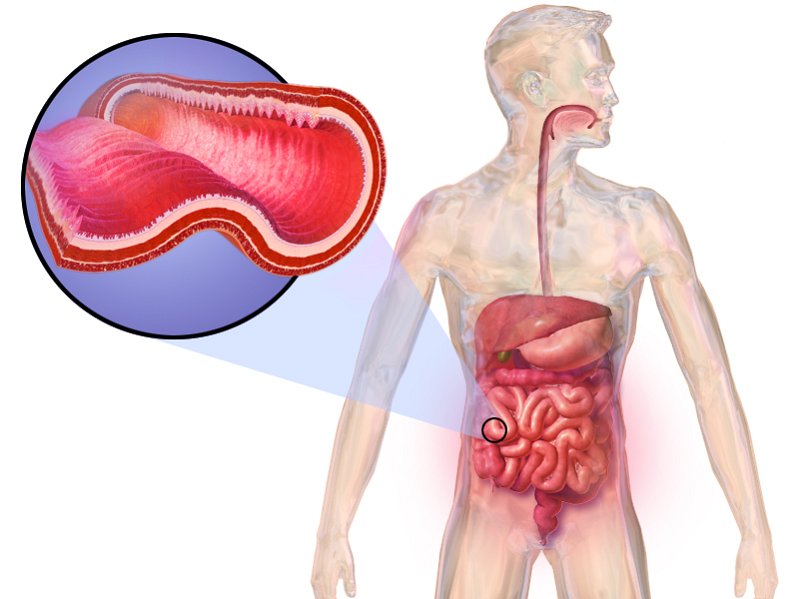 The study, ‘Predictors of anti-TNF treatment failure in anti-TNF-naive patients with active luminal Crohn's disease: a prospective, multicentre, cohort study,’ published in The Lancet Gastroenterology & Hepatology, the Personalised anti-TNF therapy in Crohn's disease study (PANTS) followed 1,610 patients with Crohn's disease starting anti-TNF treatment at 120 UK hospitals – the largest cohort of its kind. "The results from the PANTS study suggest there are opportunities to optimise the use of anti-TNF therapies to increase treatment effectiveness,” said Dr Tariq Ahmad, of the University of Exeter Medical School, who led the research. “In particular, our data suggests that early personalised dosing, guided by blood level monitoring, together with the use of thiopurine or methotrexate therapy, may help achieve optimal drug levels and minimise the risk of anti-drug antibody formation. We now have cheaper versions of infliximab and adalimumab which means that personalised dose intensification is now more affordable." The anti-tumour necrosis factor (TNF) drugs, infliximab and adalimumab are used to treat patients with moderate to severe Crohn's disease and ulcerative colitis when other treatments have not worked. Also known as biological medicines, these drugs work by blocking TNF, a protein which drives persistent gut inflammation. Although anti-TNF drugs have given new hope for people with Crohn's and Colitis, and provided an important treatment option, they do not work in some patients. The researchers looked at the factors involved in why treatment fails many people with Crohn's disease. The PANTS study showed that about a quarter of patients had no response to the drugs and in one third of initial responders, the drug stopped working within the first year of treatment. Nearly ten per cent of people experienced harmful side effects that resulted in the treatment being stopped. Overall, 37 per cent of patients starting anti-TNF drugs were well and still on treatment at the end of the first year. Anti-TNF drugs are large, complex molecules and repeated administration causes the immune system to recognise the drug as a potential threat rather than a medicine. This leads to the production of antibodies. These anti-drug antibodies block the action of anti-TNF drugs and increase the rate at which the drugs are removed from the body, reducing drug levels and the effectiveness of treatment. Findings from the PANTS study suggests that the risk of forming antibodies to anti-TNF therapy might be reduced by using personalised dosing particularly at the start of treatment, together with the use of a thiopurine or methotrexate drug alongside infliximab and adalimumab. Introduced in the 1990s, anti-TNF drugs now rank in the top 5 NHS drug spend. However, in 2015 the introduction of a biologically similar version of infliximab, called CT-P13, was launched in the UK offering significant costs savings for the NHS. In the PANTS study, CT-P13 was shown to be as safe and effective as the original infliximab, called Remicade. "Anti-TNF drugs have been life-changing for many patients with Crohn's, but we need to understand why this treatment doesn't always work,” said Helen Terry, director of research, Crohn's and Colitis UK. “Sometimes patients can go on a long journey to find the best medication for them, but this study means that personalised treatment could be implemented earlier. As well as improving patient outcomes, personalised dosing could also lead to cost-savings for the NHS." Crohn's disease is a lifelong illness which causes inflammation and ulceration of the digestive system. There are approximately 160,000 patients with Crohn's disease in the UK and this number is growing – it is a hidden health crisis. The disease most commonly presents in young adults, adolescents and children. Symptoms include urgent diarrhoea, rectal bleeding, abdominal pain, profound fatigue and weight loss. "These findings show the importance of personalising the treatment for patients with Crohn's disease. Guts UK are delighted to have supported the early stages of this study,” said Julie Harrington, chief executive officer of Guts UK, a charity committed to fighting digestive disorders.